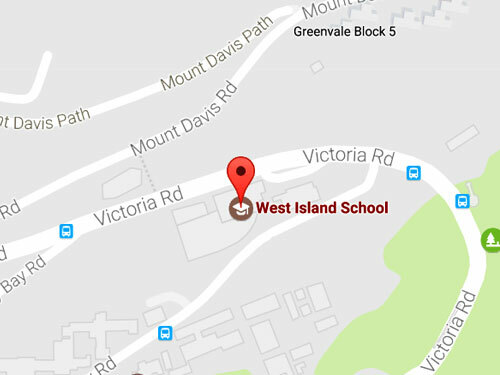 Representatives from four of the leading universities in London – Imperial College London, King’s College London, SOAS and University College London will be visiting West Island School on Monday 11 February, 1:20 pm to 2:00 pm at the 5/F Well-being Area. 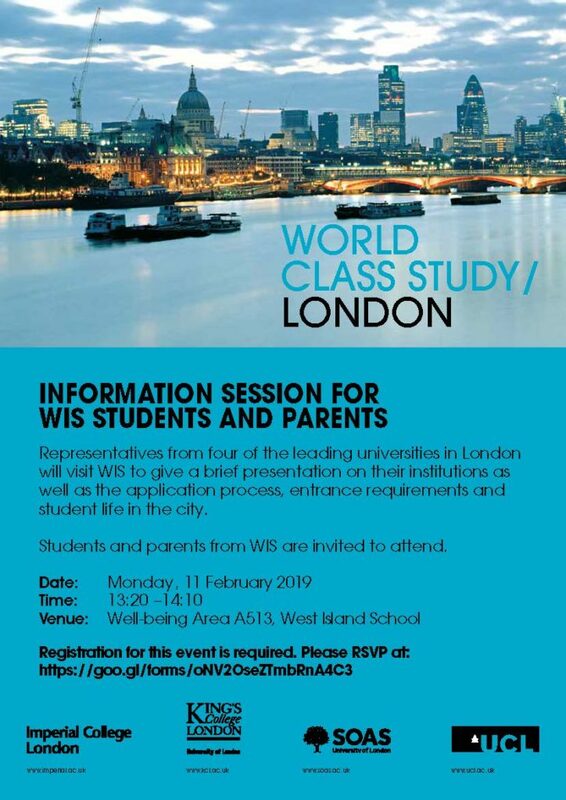 They will be presenting on the study opportunities, application process, entrance requirements and student life in London. This is great opportunity for all WIS parents and students to get first hand information on studying at world class universities in London. Please see the poster below for more information. To attend this information session, please RSVP here. Please note that parking at WIS will not be available for this event.